Top Ten Life Insurance Companies in India to keep you covered. Comparedada bring you the best life insurance companies in India to choose the best plan and schemes that covers you and your family in difficult times. We simply cannot guarantee anything in life. Take life itself as an example. We really cant predict what is going to happen next. While surviving in such fragile reality one must have everything covered. So a life insurance becomes the a vitality for well-being of your dear ones in cases of extremes. A life insurance policy is of core importance especially for breadwinners of households. As it covers risk of life and in case of an untimely death , provides financial security to the family. But it is equally essential to get a good insurance policy that too from a reliable company. Reputation of the company is just not all we should also be sure of the terms & conditions as well as the cover of the life insurance scheme. We here at COMPAREDADA provide you the best insurance companies to look for. Before we proceed please make sure of certain things before investing in a policy. The below mentioned points will definitely help you to get the best plan according to your requirement as well as capacity. Future requirements, lifestyle patterns and finances. Top 10 Life Insurance Companies in India, Max Life Insurance is the 10th place in this list. It is a Joint venture between Max India Ltd. and Mitsui Sumitomo Insurance Co. Ltd. Max India is a leading Indian multi-business corporation while Mitsui Sumitomo Insurance is a member of MS & AD Insurance Group. The company is a no.1 subsidiary of Max Financial Services Limited. Founded in 2000 by Analjit Singh and Headquarters in New Delhi, India. Max Life Insurance offers different type of Insurance Policies i.e. Individual Insurance and Group Insurance. It is also one of the largest private, non-banking life insurers in India. In our selection, HDFC Standard Life Insurance is next on the list. It is a joint venture between Housing Development Finance Corporation Ltd (HDFC) and Standard Life PLC. Founded in 2000 by Hasmukhbhai Parekh and Headquarters in Mumbai, India. It is one of the leading names among the private enterprises functioning in India. It deals in both group and individual insurance products. They also possess sufficient financial capability to take care of long term investments in a resourceful and safe manner. It has a commendable presence in more than 700 towns and cities and has 568 branches. HDFC has employed approximately 2 lakh financial advisors for dealing with different requirements of their customers such as protection, investments, pension, health, and savings. It also offers customized plans for the convenience of its clients. HDFC Life’s offers Protection, Pension, Savings, Investment, Health along with Children and Women plans products. Bajaj Allianz Life Insurance is the next in our ranks. It is a joint venture between Bajaj Auto Limited and Allianz. Founded in 2001 and Headquarter in Pune, India.Bajaj Allianz General Insurance has the backing of Allianz, which is one of the leading insurers of the world and Bajaj, which is among the top motorcycle manufacturers in India. It is a leading name when it comes to property insurance. Majority of its yearly revenue comes from automotive insurance. Since its establishment in 2001, it has become one of the leading names in the general insurance sector. Bajaj Allianz offers a wide range of life insurance plans i.e. Term Plans, ULIPs, Traditional Plans, Life & Health Insurance Plans, Pension Plans & Women Insurance Plans etc. IICICI Prudential is a rspectable insurance brand. It is a joint venture between ICICI Bank and Prudential Plc, a leading international financial services group headquartered in the United Kingdom. ICICI Prudential established in the year of 2000. The company offers wide range of Insurance Products including Health, Wealth, Life Insurance & Medical Insurance etc. ING Vysya is next in the queue. Established in 2001 and Headquarter in Bangalore, India. The company is a joint venture between Exide Industries and ING Insurance International B.V. ING Life Insurance India is present in over 200 cities and serves over 1 million policy holders in India with 7500 employees. ING Vysya is an insurance company offers insurance policies and retiree plans. It has been catering to a million customers and more for at least a decade. 50% of its shares are owned by Exide Industries. The Tied Agency medium is made up of at least 30 thousand advisers of ING Life who operate across India. ING Life is steadily increasing its network of bancassurance partners and also uses referral partners, brokers, and corporate agents to market its products and services. Tata AIG along with ING would be our joint 6th position but Tata’s trust just puts it a notch ahead. It is a joint venture between the Tata Group and American International Group (AIG). The partnership ratio is Tata Groups hold 74 % and AIG hold 26%. Founded in the year of 2001and Headquarter in Mumbai, India. The company has provided the employment to more than 2000 qualified professionals across the country in more than 160 locations. Tata AIG offer Motor, Travel, Health & Accidental Insurance. One of the major reasons behind the growth of Tata AIG General Insurance has been its employees. The organization regards its employees as valuable assets and takes pride in the fact that it has one of the finest workforces in the general insurance industry. Tata AIG General is regarded as one of the major names in the general insurance sector of India and has recently won the 5th position among the top companies to work for in the financial services and banking sectors. This was done in a survey done by PeopleStrong, a well known HR consultancy, on behalf of Business Today. In fact, it was the only general insurer to be featured in that survey. One of the major reasons why employees loved working at Tata AIG was the growth and also career opportunities afforded by the organization followed by the remuneration and other financial benefits. The 4th place for Reliance Life Insurance (RLIC) surely deserves it. It is a part of Reliance Group, India’s largest private sector financial services company. Founded in 2001 & Headquarter in Navi Mumbai, India. RLIC offers Individual and Group Insurance Plans. Total Assets approx. 15000 Crores with 1,24,000 active agents, 1230 branches & 7 Million Policy Holders. It is also a part of the Reliance Capital group, which in turn is a member of the Reliance Group. Reliance Capital is surely among the leading privately owned providers of financial services. And in addition to that is among the top 3 organizations in the banking and financial services sector. BSLI is firstly our goto investor. It is a joint venture between the Aditya Birla Group & Sun Life Financial Inc. Established in 2000 and has approx. 1,33,000 active employees. The company is more than ten years old and present value is 21062 Crores. 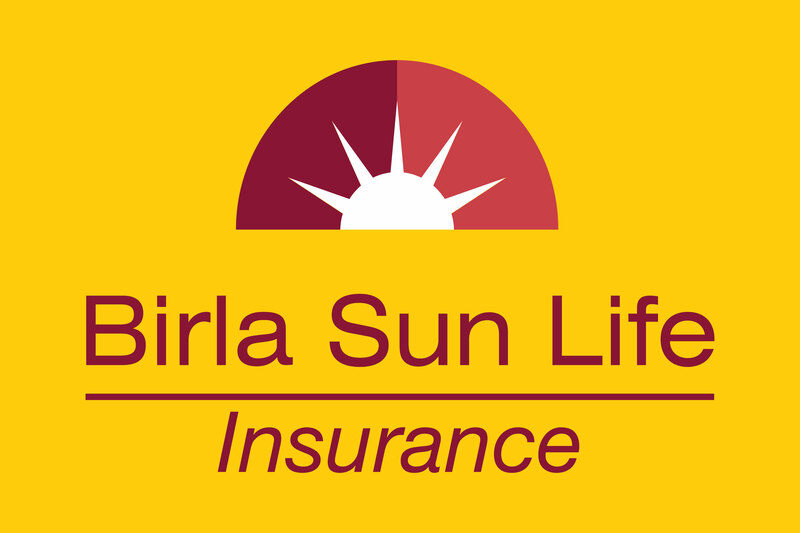 Birla Sun Life Insurance has always been a major contributor to the development and growth of India’s life insurance sector and is presently rated as one of the top 5 private life insurers in the country. It is also the first financial services provider to have come up with business continuity plans, Unit Linked Life Insurance plans and free look facilities in India. SBI Life Insurance is a joint enterprise of BNP Paribas Cardiff and the State Bank of India. SBI holds 74 percent of the overall shares and BNP Paribas Cardiff owns the remaining stake. The insurer has a paid up capital of INR 1000 crores and an authorized capital of INR 2000 crores. Founded in March’2001 & Headquarter in Mumbai, India. SBI Life Insurance offers Life Insurance & Pension Plan. Employee strength with over 7,500 on-roll employees & 96,000 agents are available. Over the years SBI Life has been using its connections with the State Bank Group in order to market its products in combination with offerings such as personal loans and housing loans. The insurer can reach more than 100 million State Bank Group customers across the country and this enables them to get across to people from different economic levels and regions across the country. It also has at least 80 thousand insurance advisors in its agency channel that allows it to offer services on a door to door basis. Undoubtedly the top insurance authority of India. LIC of India is the largest Insurance Company in India founded in 1956 and it is an Indian state-owned insurance group Headquartered in Mumbai, India. LIC offers to its customers such as insurance plans, pension plans, special plans and group schemes. The organization has in excess of 12 million policyholders and more than 9 lakh agents. Till date it has issued in excess of 120 million policies. A major reason for the organization’s success over the years has been its adaptability. Top Ten Private Sector Banks of India. Top Ten Credit Cards in India: Cashback, Loyalty Points, Discounts and more!